One bank is confident that the current property slowdown is a “textbook” adjustment, while another has estimated how much further values could fall in the coming months. The housing market downturn will not have a spillover effect on the broader economy if prudential standards are “correctly calibrated” amid “bottom-up” tightening from lenders, according to ANZ Research. Despite acknowledging that the fall in Australian property prices has been the “largest since the financial crisis” (GFC), chief economist at ANZ Research Richard Yetsenga has said he believes the downturn would not trigger a broader economic slowdown. “This housing downturn was sparked largely by a tightening in prudential policy, which has a narrow and direct impact,” Mr Yetsenga said. “It was not driven by monetary policy, where the impact is broad. Mr Yetsenga said the housing market downturn would likely be a “textbook adjustment”, provided prudential standards are “correctly calibrated” for the tightening in bottom-up standards. However, the economist’s analysis coincides with the release of property group Domain’s House Price Report, which reported that Sydney’s house prices have recorded the sharpest decline in over two decades. 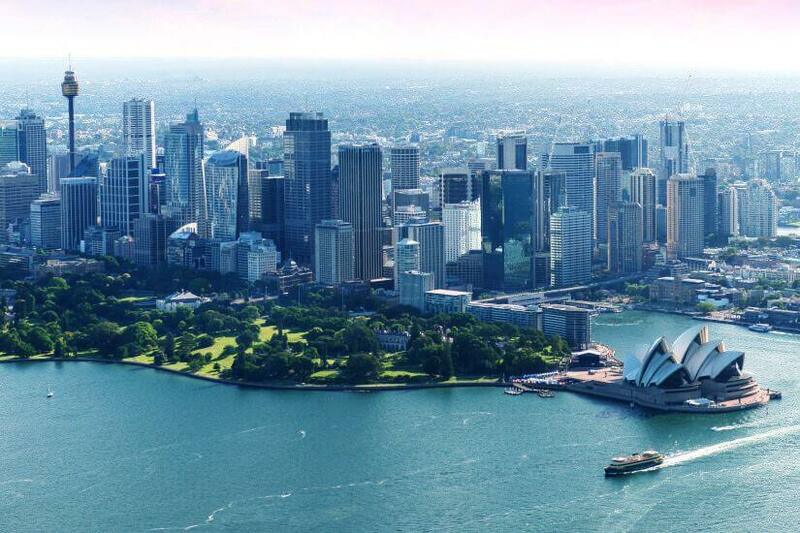 According to Domain, Sydney’s detached home values depreciated by 9.9 per cent in the 2018 calendar year and 11.4 per cent since the peak of mid-2017, with the median house price dropping by approximately $120,000 to $1,062,619. “House prices have fallen [by] 11.4 per cent from the mid-2017 peak, pushing them back to mid-2016 levels,” Domain senior research analyst Nicola Powell said. Domain reported that Darwin’s house prices experienced the second sharpest annual decline (8.7 per cent), followed by Melbourne (8.4 per cent), Perth (3.3 per cent) and Brisbane (0.1 of a percentage point). Hobart and Adelaide were the only capital cities to record an increase in house prices of 8 per cent and 1.7 per cent, respectively, with Canberra’s values remaining stable. Domain reported that, overall, national house prices declined by 6.5 per cent in the year ending 31 December 2018, with the national median house price falling to $766,438. Domain reported that unit prices also declined, recording an annual price drop of 4.3 per cent, with the median unit price slipping to $530,999. Following his assessment of the latest property market trends, AMP chief economist Shane Oliver revised his expectations and has now predicted a “deeper fall” in dwelling values across Sydney and Melbourne. “For Sydney and Melbourne, our base case has been that prices would have a top to bottom fall of around 20 per cent out to 2020,” he said. “However, the further plunge in auction clearance rates and acceleration in price falls late last year suggest a deeper fall possibly of around 25 per cent — although it’s impossible to be precise. Mr Oliver stated that weakness in housing market conditions, which he said was triggered by tighter credit conditions, would not be as pronounced in other capital cities, because they were “less speculative”.